Silverlake Automotive is proud to be part of the business community in Coeur d’Alene and Post Falls Idaho. Will Sando and his wife, Rebecka, have owned and operated Silverlake Automotive for over 15 years now. 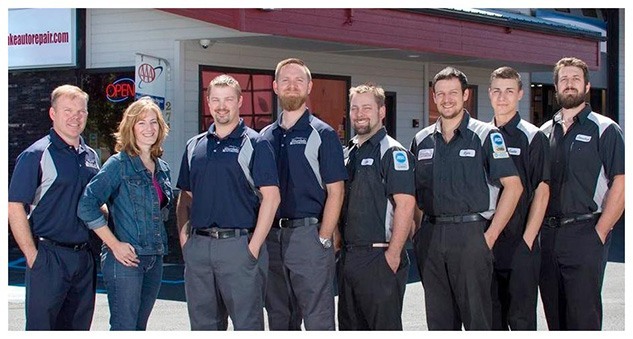 With a solid commitment to superior customer service, the Sando family and their talented team have built a reputation of quality service and integrity among their customers in Coeur d’Alene, Hayden, Post Falls, and the surrounding communities of North Idaho. Please feel free to drop by either one of our locations and we will be happy to assist you. Our hours of operation are: Monday through Friday from 8:00 a.m. to 5:30 p.m.